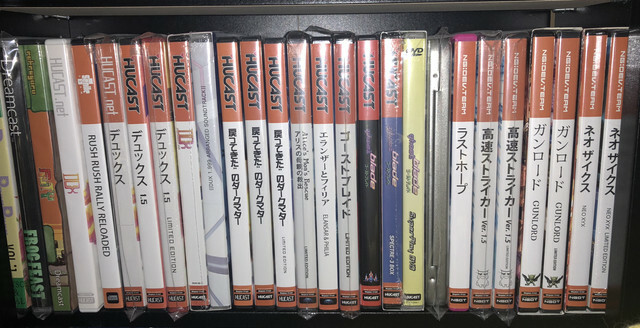 I’ve got nearly a full set of US releases, but have been selective about which Japanese and PAL titles go into my collection. I’ve got some rare items that took me years to track down, which I’ve highlighted in some of the closeups. I’m especially proud of the US kiosk demo disc set; I think I have every unique one, including one I haven’t seen mentioned before! 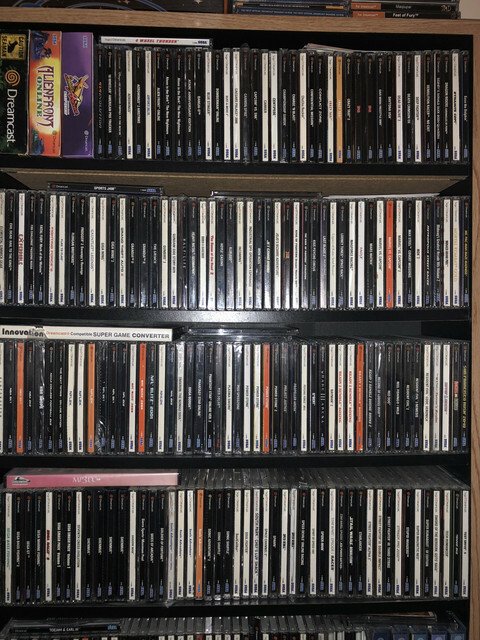 Buried in the shelf photos are a small handful of repros, but only for unreleased games (Half-Life, Propeller Arena, etc). All the rest are genuine. 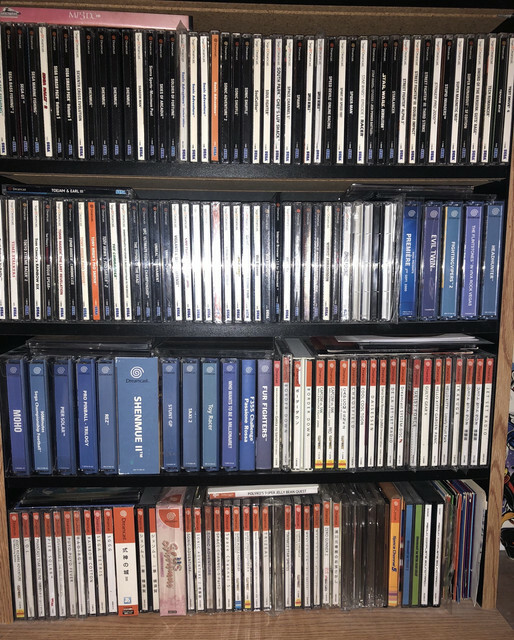 Even more of my shelf (mostly jewel case-sized homebrew games & full set of Demo Discs from the UK DC Magazine). 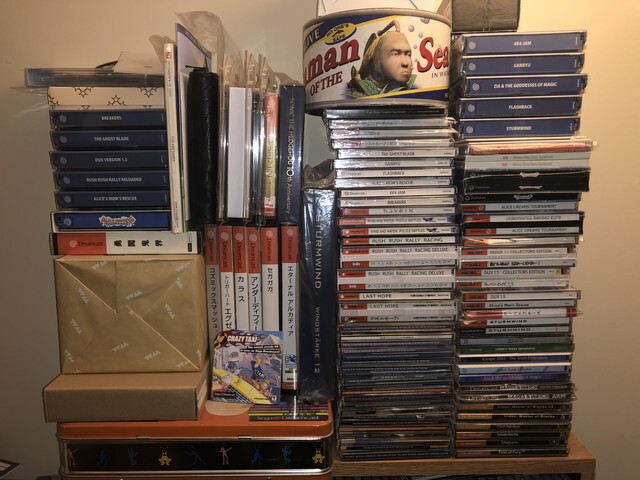 Also a few genuine Sega-pressed, DVD case-sized Japan releases. Dreamcast Premiere is a press kit from the UK Dreamcast debut in 2000 (not actually a game). I only have a handful of white labels in my collection and am thrilled to finally have Flintstones! 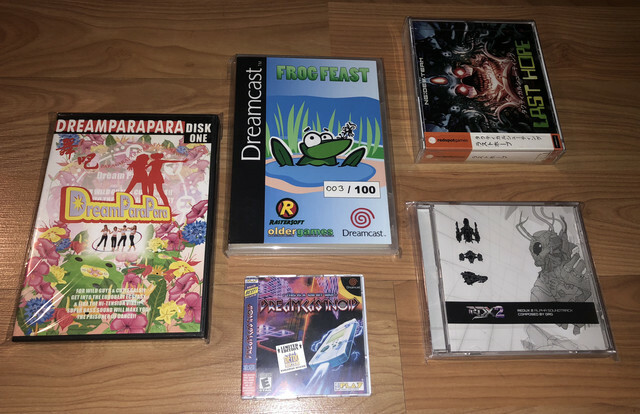 Some of my rarer Japan imports. 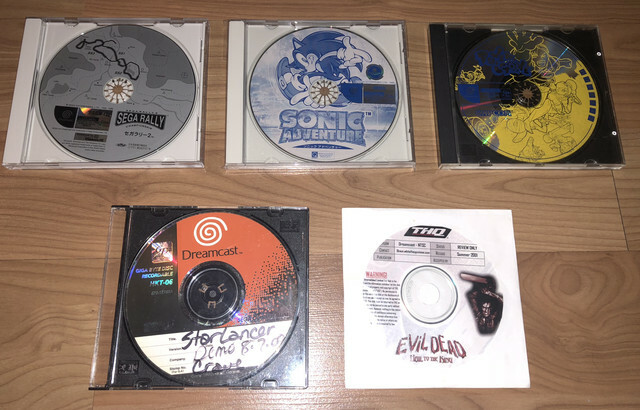 Included here are some promotional discs: sealed Sonic Adventure Autodemo (the realtine, non-playable demo disc which contains beta & unreleased content); Sonic Adventure 2 kiosk demo disc (different content from the common Sonic Adventure 2: The Trial demo); & Jet Set Radio demo with beta content. The version here of What’s Shenmue? is the prize version from Famitsu magazine, and has an alternate cover with different catalog # on spine. System Disc 2 allows GD-Rs to play on a retail unit. Some of the rarer North American titles in my collection. Power Stone Rental Copy was a pre-release, rental-only version with some missing content &. alternate cover art (much like Sonic Adventure Limited Edition). 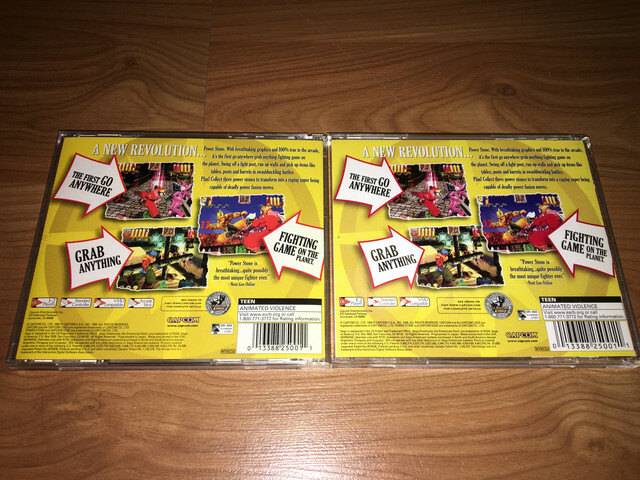 Speed Devils has the censored “clean” cover art with devil removed. 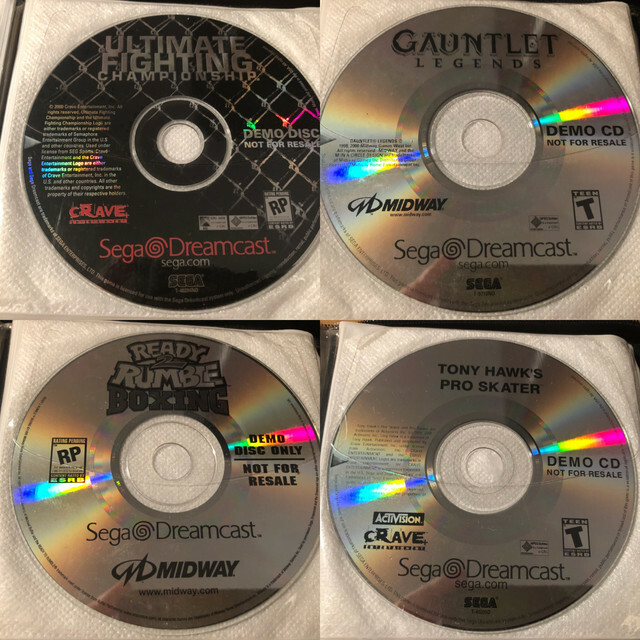 All three E3 1999 pressed demo discs. 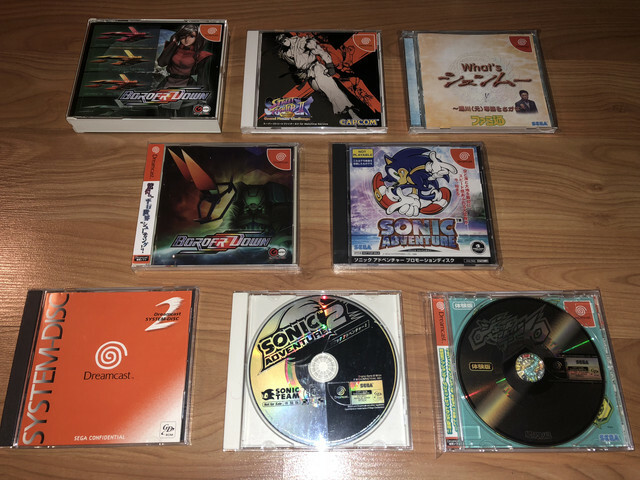 They look like retail Japan discs, but are actually region-free demo discs pressed in Europe. (Yup very strange indeed.). Each of these say “Sample” in Japanese in the inner ring. Also, here are my two GD-r discs. 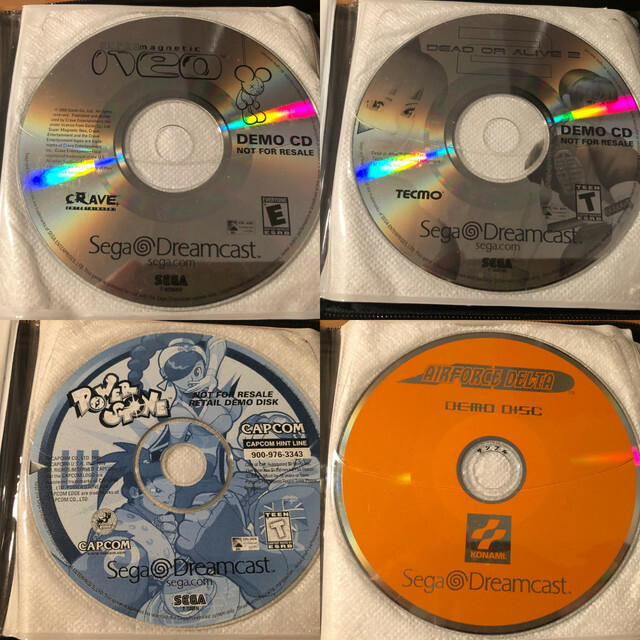 USA kiosk demo discs. All came in generic white CD envelopes with no artwork. (UFC was actually a giveaway at a GameStop managers event & included an insert about the game - see in another photo below). More USA kiosk demo discs. All came in generic white CD envelopes with no artwork. 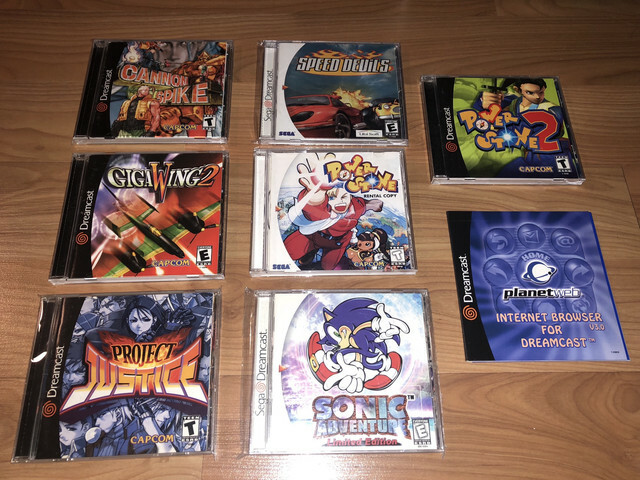 More USA demo discs. 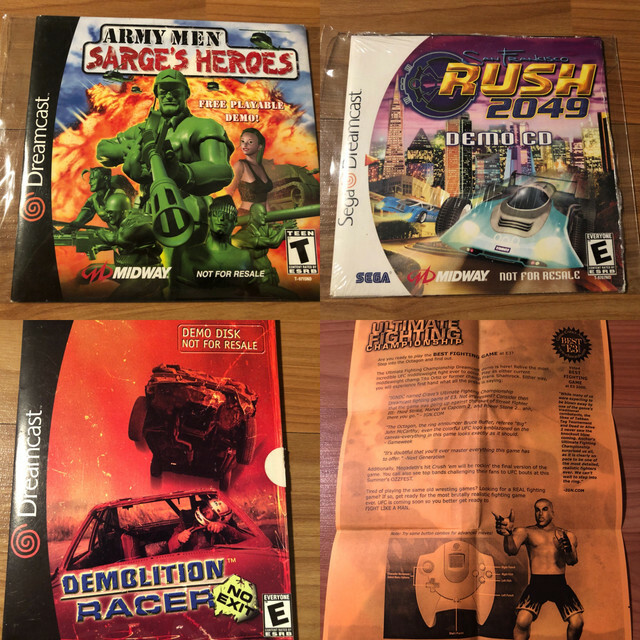 Army Men and San Francisco Rush included sleeves. Demolition Racer was a free demo disc by mail direct to consumers. The orange sheet is the insert which came with the UFC demo disc. 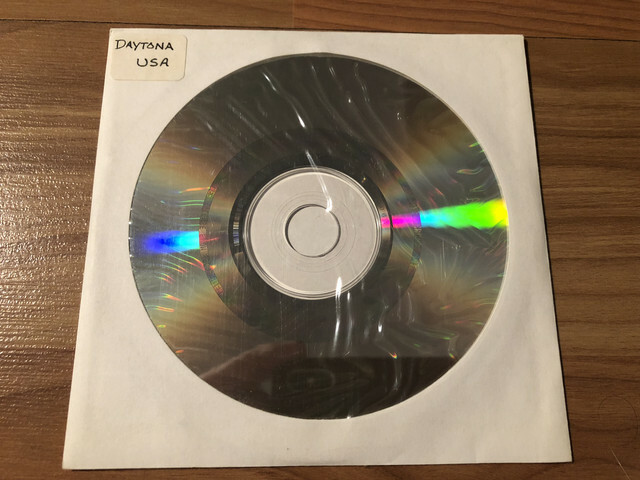 Never seen this one mentioned Anywhere before: a US kiosk demo disc of Daytona USA. Includes fewer tracks and features than the retail version. 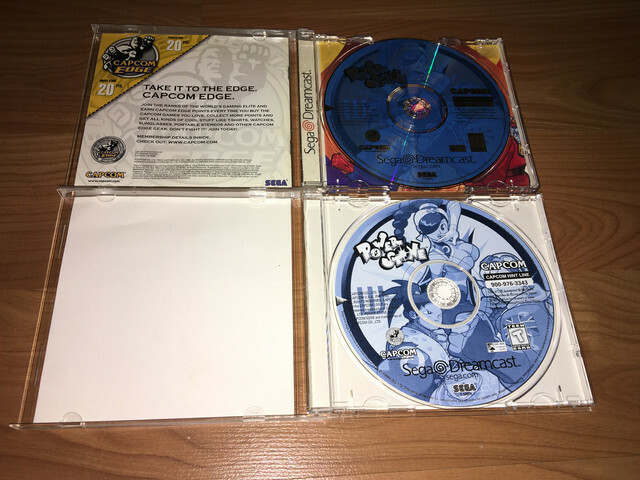 Disc is plain silver with no printing or art, and came in a generic white sleeve. Some of the more rare homebrew games in my collection. Frog Feast is numbered 3/100, but I believe less than ten are known to exist. The game is horrible lol. Last Hope is from the original Play-Asia hand-numbered limited edition release of 500. The Redux 2 Disc here isn’t a game: it’s actually a soundtrack for the homebrew game by Hucast which was never released. I’ve got the full DreamParaPara controller set but it’s not pictured here. Last edited by kurtori on Sun Jul 22, 2018 7:46 pm, edited 1 time in total. Amazing collection! 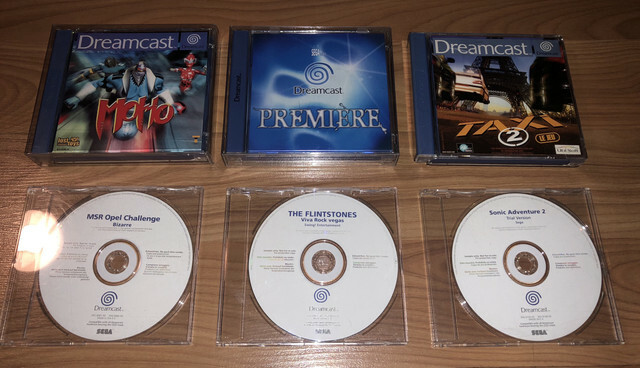 And just when you thought you knew about all obscure Dreamcast releases...... never heard about nor seen that Power Stone rental copy, really really cool! Thanks Wombat! 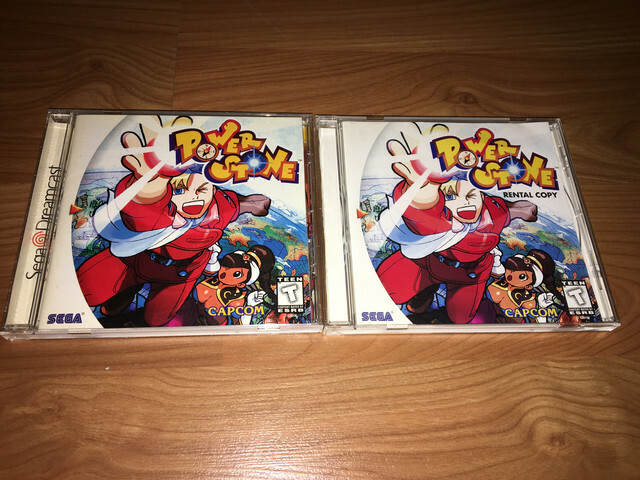 Yeah, Power Stone Rental Copy is largely undocumented and not well known! That may change now haha. Side by side images of Power Stone retail beside the Rental Copy version are below! very nice to see someone else who has the Seaman can, do you still have the candy that came with it? mazonemayu wrote: very nice to see someone else who has the Seaman can, do you still have the candy that came with it?